Congratulations to the awarded New Designers I. Mitakos X Erotokritos, Liza & Kira, Sinister. Congratulations to the winner of the competition by Belvedere Vodka. For those of you who missed the opportunity to buy the scarf during the international "fashion week" of Athens. 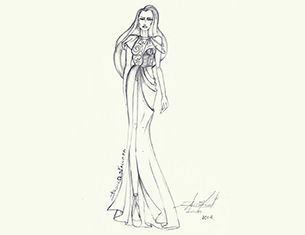 Fashion Design Project: Who will be the next winner? 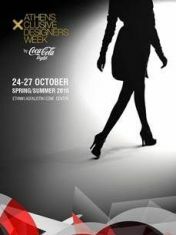 16th AXDW by Coca-Cola light invites you to participate in an open fashion design competition! 32 established and new Greek fashion designers meet in Athens, at the premiere fashion platform of Greece, from the 24th until the 27th of October! 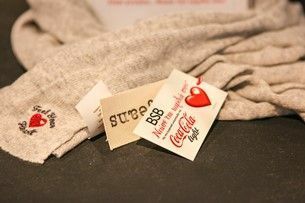 Coca-Cola light will be the Principal (Diamond) and Title Sponsor of the 16th event, thus renaming itself to AXDW by Coca-Cola light. 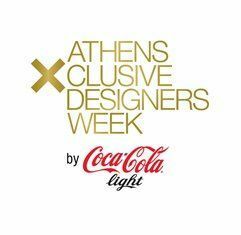 The 16th International Fashion Week, AXDW by Coca-Cola light will be held from 24 to 27 of October 2014 at Ethniki Asfalistiki! 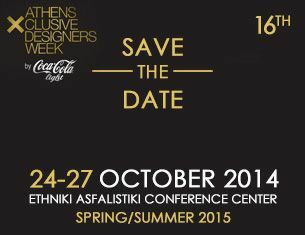 The Fashion Design Project of the 15th Athens Xclusive Designers Week announced as a winner Argiro Kalliafa. The "Best Trendsetter" award winners of the New Designers Awards of the 15th AΧDW, TwoAs at H&M windows! Fashion Design Project: The voting has started! 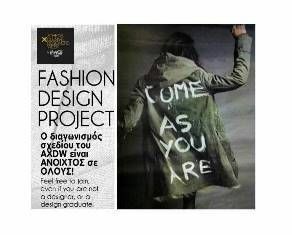 Visit now the facebook fan page of AXDW and vote your favorite design among the 40 designs created by new talents! 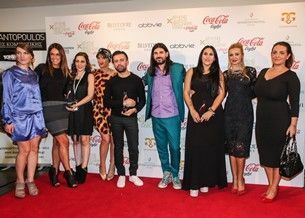 30 Greek and international fashion designers, 1 awards ceremony for New Designers, 4 days full of style and renewal, and many glamorous guests! 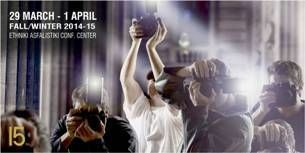 15η AXDW:All spotlights on 30 Greek and international fashion designers on the biggest catwalk in Athens, from 29/03/2014 - 01/04/2014! 15th AXDW invites you to participate in an innovative design contest for a place in New Designers Awards of October 2014! AXDW is looking for female and male models to attend its casting. The French fashion house Cacharel invites you to a unique «Autumn dance» on the catwalk of the 15th AXDW!